Landscape Supply || Nursery || Landscape || Hardscape || Design || Installation || Lehigh Valley || Colonial Landscape, Inc. 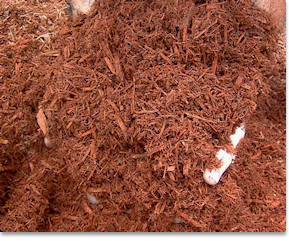 If mulch is your need, we have the finest quality of colored mulches available in black, brown and red. Also available are cedar, playground and natural bark. All mulches are sold in bulk or bags. We have a large inventory of decorative stones in various sizes and colors. In addition to our decorative stone, you can find boulders of all sizes and palletized stone. Concrete and pool sand are available on site, along with topsoil and topsoil mixes. Our screened topsoil is always dry, some say the best in the valley. A host of miscellaneous products can be purchased for both your residential and commercial needs.(Exp. grass seed, straw and wood chips). Delivery is available on all our products.